Moovingo is delighted to present this large family home to the market in the sought-after Honey Park development. Built in 2012, the current owners have maintained the property in excellent condition throughout. With two designated parking spaces and multiple amenities just a stone's throw away, this property will appeal to all prospective purchasers looking to secure a large family home in turn-key condition. 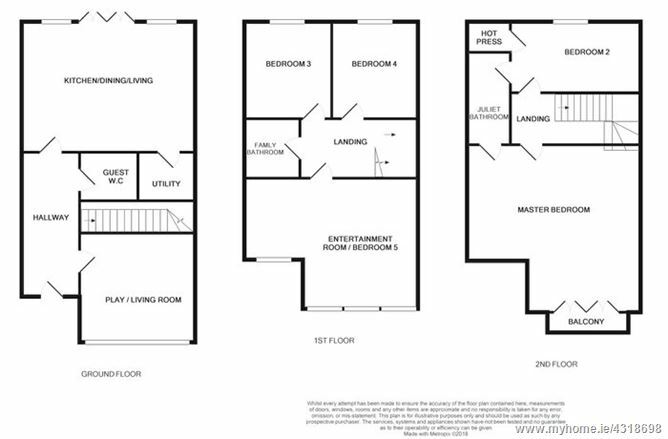 The accommodation briefly comprises an entrance hallway, bright living room, open plan kitchen/dining area, utility room and W.C. On the first floor there are two double bedrooms, a 2nd wide living room which could be used as another bedroom, and family bathroom. 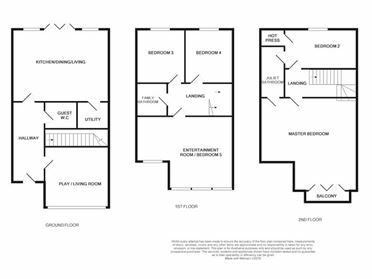 On the top floor there is a master bedroom with access to a SW-facing balcony, another double bedroom, and a J&J ensuite. The rear garden measures 60 sq. m. and has access to a rear laneway. This property boasts an enviable location with a number of fantastic amenities in the immediate vicinity. 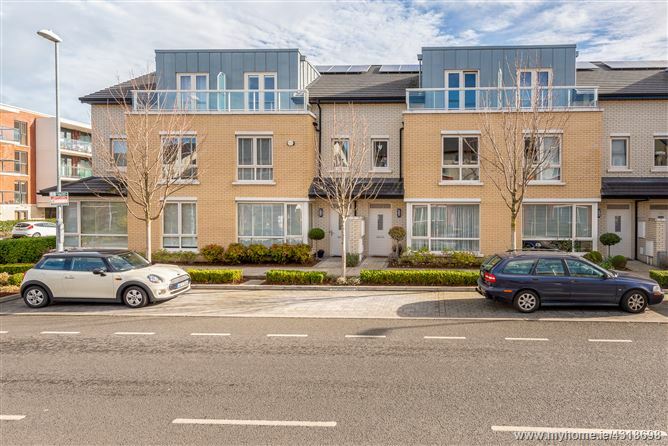 There are a number of shops, restaurants, cafés and a leisure club just a stone's throw away at Park Pointe while the 46a and 7 bus stops are an equally short distance away at the entrance to the development. Within the Honey Park development itself, there is a open park area with a lake, multi-sports court and a playground to keep the children busy. There are multiple well regarded primary and secondary schools in the area and IADT is also in close proximity. Dun Laoghaire town centre and its popular seafront are within walking distance, as too is Monkstown village. The DART is a 20 minute walk away at either Glenageary or Dun Laoghaire while the city centre can be reached in 25 minutes by car.